With a focus on literate lyricism, Chelsea Jade harnesses an art school approach through her low impact, high drama vocal performance and lateral visual sensibilities. In short, Chelsea immediately captivates. Born in Cape Town, South Africa and raised in New Zealand, she began as a dancer and gravitated towards music early on, falling in love with the conversation between the ballet pianist and her own movement. Eventually being caught between the high concept world of art school and a romance with the immediacy of pop music, Chelsea abandoned her studies in the middle of exams and fled to New York for a series of writing sessions with Justyn Pilbrow (The Neighbourhood). A fan-girl encounter with producer Dre Skull in a Tokyo elevator lead Chelsea to realize that the US was the pop mecca she had been dreaming of and in late 2015, she relocated to the east-side of Los Angeles. A two year writing intensive followed, working with producers like Pilbrow, Big Taste [Justin Bieber], Sam McCarthy [BOYBOY], and Brad Hale [Now Now]. 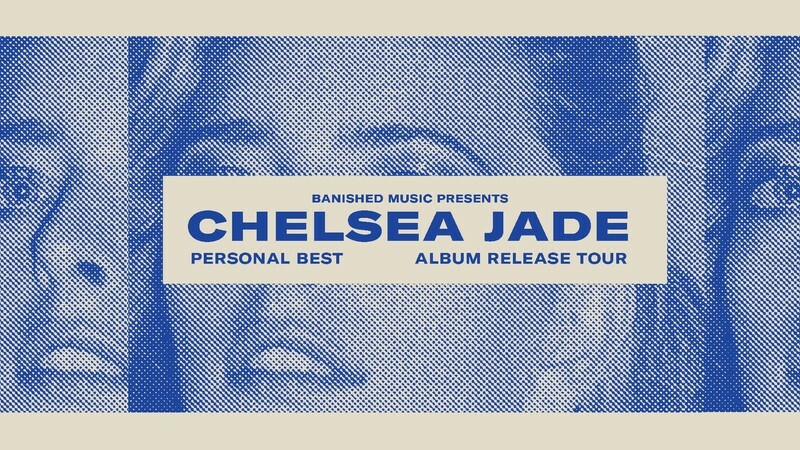 From these sessions, Chelsea executive produced the full-length debut, Personal Best.